SAN JOSE, Calif. -- A new brew pub has debuted in the neighborhood. Called Skewers & Brew, the newcomer is located at 65 S. 1st St. in downtown San Jose. Skewers & Brew features an eclectic mix of microbrews on tap, as well as wine by the glass. 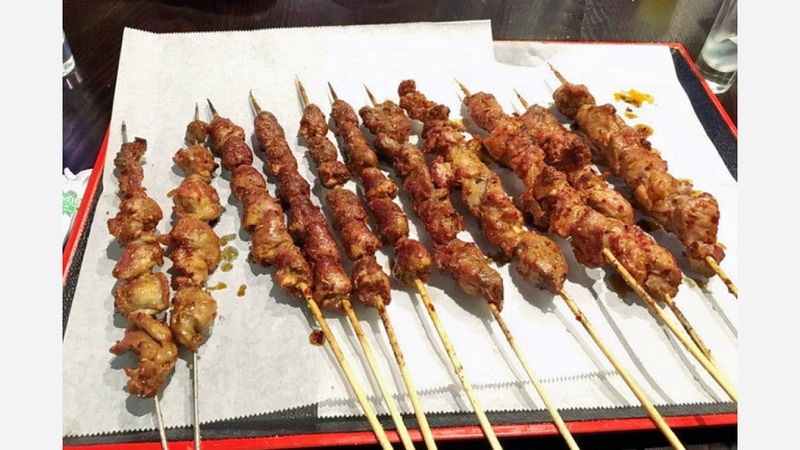 On the menu, offerings include Northeast Chinese-style skewers of lamb, beef, chicken or eggplant; seasoned fries buried under chili and cheese; and corn on the cob. The new brew pub has gotten off to a solid start thus far, with a four-star rating out of 21 reviews on Yelp. Martin A., who was among the first Yelpers to review the new spot on March 27th, said, "Perfect new addition to downtown. Skewers & Brew introduces street-style barbecue flavors to the downtown late-night food scene, and they're delicious!" And NoFluff B. said, "The hospitality I received from this establishment is unmatched. ... Paleo and vegetarian lovers rejoice. For there is a third place in town that caters specifically to your diet and it is exquisite." Head on over to check it out: Skewers & Brew is open daily from 5pm-midnight.